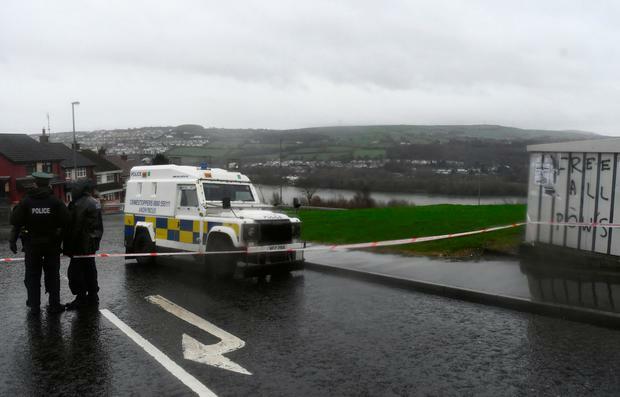 The bomb in Derry achieved its objective, there can be no doubt of that. The objective was not to specifically kill, but to attract attention. Over the last 48 hours, the world’s media have been talking extensively about the ‘New IRA’. This publicity is just what the dissident republican terrorists needed. It matters little whether you’re talking about the Continuity IRA, the Real IRA or now the New IRA – they are basically the same little band of violent dissidents intent on being seen as relevant to political life on this island. Over the last number of years and particularly during the British queen’s visit to Ireland in 2011, the dissidents struggled to manifest any kind of meaningful threat. Due to a mix of effective intelligence-led policing in both Irish and UK jurisdictions, internal rivalries and a large dollop of apathy, the dissidents had become largely irrelevant to the politics of this island. Between trying to improve their ability to make bombs and procure weapons, they had largely focused on trying to make revenue from criminal activities. This had also led to tribal infighting and turf wars. Now Brexit has become a godsend, catapulting dissidents from the margins of the media back into the main arena. In recent years they have detonated the odd device and murdered individual police and prison officers, but they did not receive much attention outside of Northern Ireland. The lurch of Brexit negotiations to focus on the Border and Northern Ireland has provided a platform on which dissident republicans can posture and seem stronger and more capable than they really are. The orchestrated riots in Derry last summer and now Saturday’s bombing are very much part of a muscle-flexing exercise designed to lure more young nationalists in Derry and surrounding areas to support their organisation. There is not a whole lot of long-term strategic thought going on here within this group. However, the broader security community is keenly aware that this re-branding exercise, for that is what it is, can have potential calamities. The sectarian divide was never successfully dealt with in Northern Ireland in the aftermath of the Good Friday Agreement, particularly in the urban areas. Now, the uncertainty of Brexit and tribal and bellicose rhetoric has contributed to a climate more conducive to further polarisation in the North of this island. It is such a climate that is ideal for violent republicanism in the guise of the ‘New IRA’ to multiply and influence. Security services on both sides of the Border are watching with unease as the dissidents attempt to take the media spotlight again – with all the attendant influence on young minds that goes with such publicity in this online age.